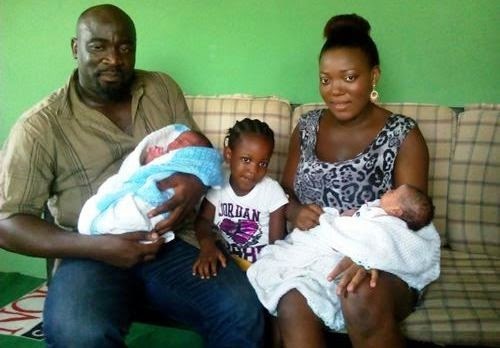 Femi who recently welcomed the bundles of joy with wifey revealed their names on his Facebook page and was proud that his lil ones will be the first set of twins in Nigeria to have such names. I kinda liked it though….two lil stars with the two most powerful movie bodies in the world…hehe. This entry was posted in Entertainment, Fashion trends and tagged Nollywood Actor Femi Ogedengbe Names His Twins Hollywood and Nollywood.